In my last post I reported that AHCA/NCAL is undertaking aggressive advocacy efforts both nationally and locally to ensure passage of the Medicaid Federal Medical Assistance Percentage (FMAP) extension. The FMAP extension is one of several current issues that are critical to preserving health care jobs and ensuring quality care for our frail, elderly and disabled. Introduced on June 2nd, 2010, The Nursing Home Patient and Medicaid Assistance Act of 2010 would provide supplemental payments to nursing facilities that serve Medicare and Medicaid patients and seek to ensure adequate Medicaid payment levels for care services. Expressing support for these issues demonstrates the link between adequate Medicaid funding, quality care and local caregiver job stability. 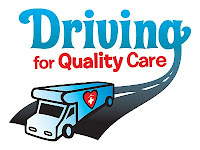 Next Tuesday, June 29th, AHCA/NCAL will launch a cross-country tour: Driving for Quality Care. Over the course of the next four months we will travel from Washington, D.C. to Long Beach, California, making approximately 61 stops in 41 states. At each of these stops we will hold live media events at facilities in which residents, patients, caregivers, family and members of the community can participate. We also will invite key members of Congress to these events so that they can hear directly from you, their constituents, and experience firsthand the quality care that you provide. We will also collect signatures for a petition urging Congress to act. Stay tuned for more details on the upcoming tour. 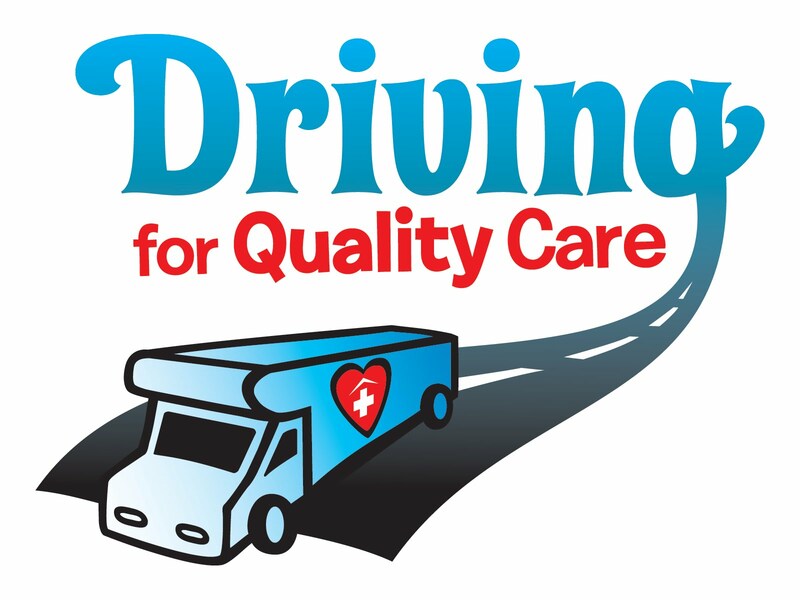 As our Driving for Quality Care RV begins its journey, we ask you to join us by delivering your own message to Congress and members of the media. How have Medicaid cuts affected your state or facility? Do you have a compelling story you would like to tell us about? Share it here and your story could be featured during the tour. We welcome your participation and look forward to seeing you in the community. Welcome to Long Term Care Leader, the official blog of AHCA/NCAL! This is a place to receive news, commentary and opinions on important issues affecting the long term and post acute care industry. It’s also an online environment to have a discussion about these and other issues important to you, our readers. This inaugural blog post highlights findings of a new national survey released by AHCA and conducted by The Mellman Group. • Voters were found to oppose cuts to nursing facility care on both national and state levels. Approximately three-quarters of likely voters oppose cuts to Medicaid reimbursement rates for nursing homes by their state legislators, even if cuts were used to offset growing state budget deficits. Only a small fraction of voters – 15% - actually favored state Medicaid cuts to nursing facility care. 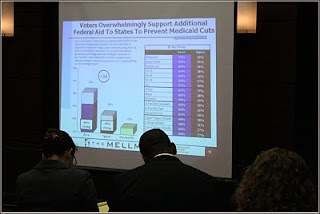 • In regards to federal assistance for state Medicaid funding, the survey found that voters oppose cutting funding to nursing homes so strongly that 62% of voters favored additional federal funding for Medicaid. Results found that voters support the use of federal funding to prevent additional cuts at the state level. • The results also show that voters, in addition to opposing cuts to funding in nursing home care, claim they will vote against elected officials who support additional cuts. In fact, voters say they are more likely to vote against a state legislator who supports Medicaid cuts to nursing homes by a margin of 64% to 11%, with 45% indicating they are much more likely to oppose the candidate. Americans who are registered and likely to vote recognize the link between adequate Medicaid funding and high quality care. They understand that seniors deserve help, Governors are desperate for relief, and voters are demanding action. Every day that Congress waits, seniors’ care is placed in growing jeopardy, facility staffing stability is being compromised, and good, local health jobs are being put at risk. Therefore, it is urgent and abundantly clear that Congress must immediately pass the extension of emergency Medicaid relief. 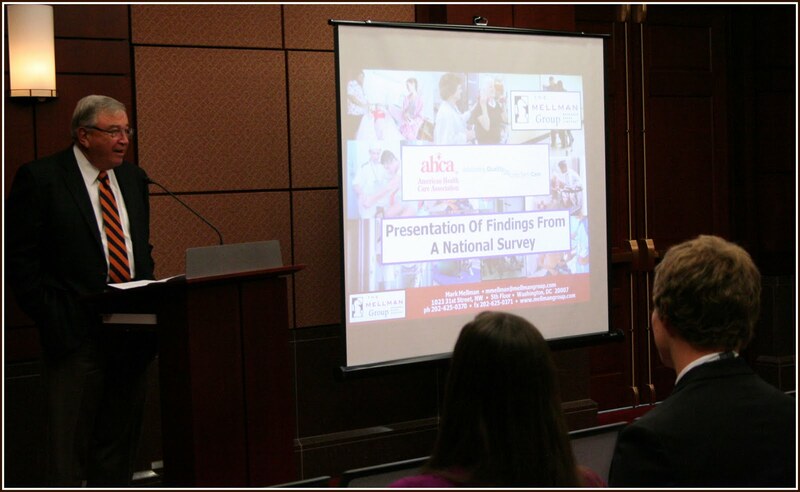 AHCA released these new survey findings at the end of one of the largest events of the year for long term care providers—the AHCA/NCAL Congressional Briefing. This three day event brought together hundreds of long term care leaders from across the country to receive advocacy training, network and meet face-to-face with members of Congress. Our message during and after the Congressional Briefing is clear: States need extension of critical Medicaid Federal Medical Assistance Percentage (FMAP) now. AHCA is undertaking aggressive advocacy efforts both nationally and locally to ensure the extension of FMAP is passed. America’s seniors can no longer wait for Congress to act. Will you join us?